The all new puzzle games for Halloween holidays are here. 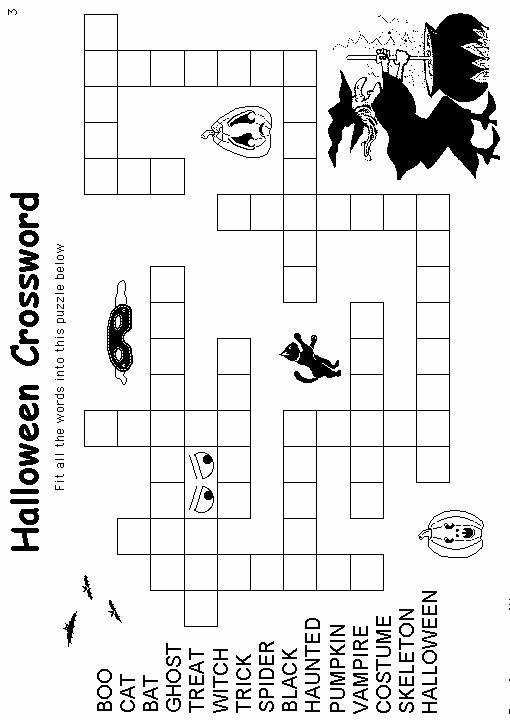 We have introduced some new Halloween crossword coloring pages for you. 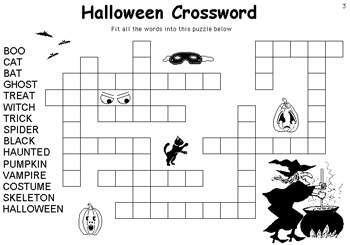 Students fill in the blank squares to complete two Halloween crosswords: All creative and mindful game coloring sheets with a Halloween theme are below. Live in up your holiday fun with hilarious printable including Halloween word searches, word mine worksheets and Halloween crossword puzzles. Just print them and start playing now to win! !